Ready-made solution to the problem D4 Option 36 from Reshebnik on theoretical mechanics (termehu) Taskbook Targ SM 1983. Immediately after payment you will receive a link to a zip-archive with the solution of the problem D4 Var. 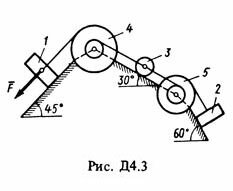 36 on the theoretical mechanics of Reshebnik Targ SM 1983 for part-time students.